Which trend topics will likely keep us busy in 2018? We have selected some trends and technology topics, which will probably gain in importance for libraries, information centres and open science. How to use new technologies in a meaningful way will still be one important aspect of trend topics in 2018. Artificial Intelligence and security matters with regard to the ongoing digitalization are some of the topics, which will have a formative influence as in the previous year (link in German). Chatbots und Messenger (link in German) as well as Augmented Reality (link in German) are still among the trend topics. If you do monitor trends on a regular basis, you could get the impression that, in comparison with previous years, there are scarcely surprising new trends on the horizon. Nevertheless, interesting new aspects will emerge in 2018. As in 2017, artificial intelligence will have a strong influence on the emergence of trends (link in German). Technologists and innovators of Thomson Reuters for instance expect news to become soon even more personalized thanks to artificial intelligence. Thomson Reuters itself is trying to use artificial intelligence in order to gain a quicker overview in chaotic news situations, to identify true and fake news. 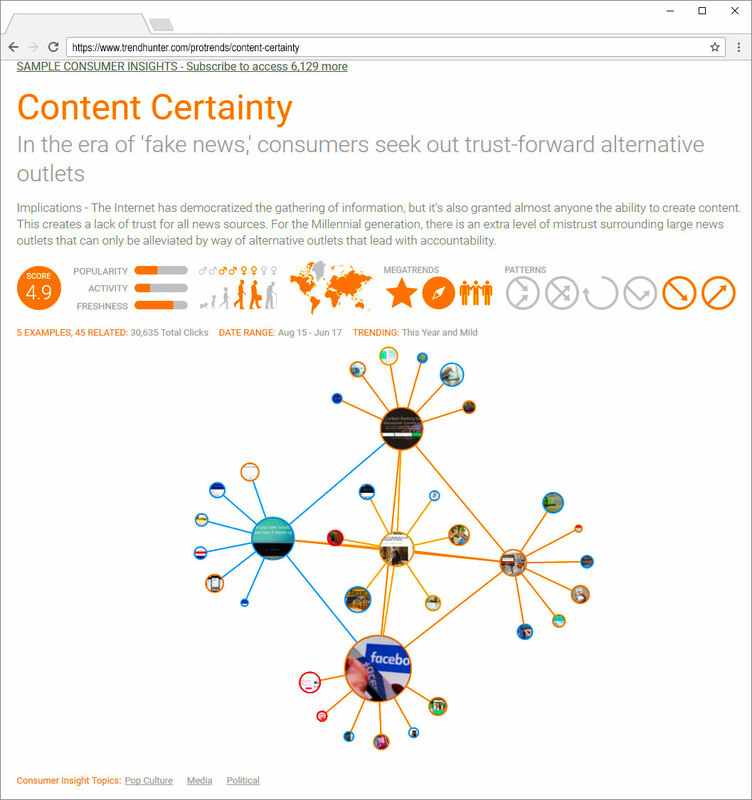 Content Certainty or “Trusted Content” are still important topics in light of „Fake News“. To identify trustworthy sources of information there are further options besides artificial intelligence: for example blockchain newsfeed systems, journalism crowdfunding platforms, that support independent journalism, plus websites designed to boost online trustworthiness. Generally speaking, computers process texts and speech better and better. But until now they are not able to catch the real meaning of our words and ideas. That is why unlike humans they still are not able to combine learned concepts in a new way or to apply them in new situations. How this barrier could be removed is being researched in the context of artificial intelligence. Google for instance has begun to experiment with teaching software metaphors. Another relevant trend topic in 2018 will be “Virtual Companionship” according to Trendwatching.com. Chatbots and artificial intelligence on the one hand and the impression that existing social media rather intensify social isolation on the other hand, offer a fertile ground that leads more and more to the idea that it is possible to have meaningful conversations and some kind of relations with virtual companions. One example is the AI Chatbot Replika, which is self-learning and gradually becomes a mirror image of its owner’s personality. But it does not suit every organization to develop a virtual companion. 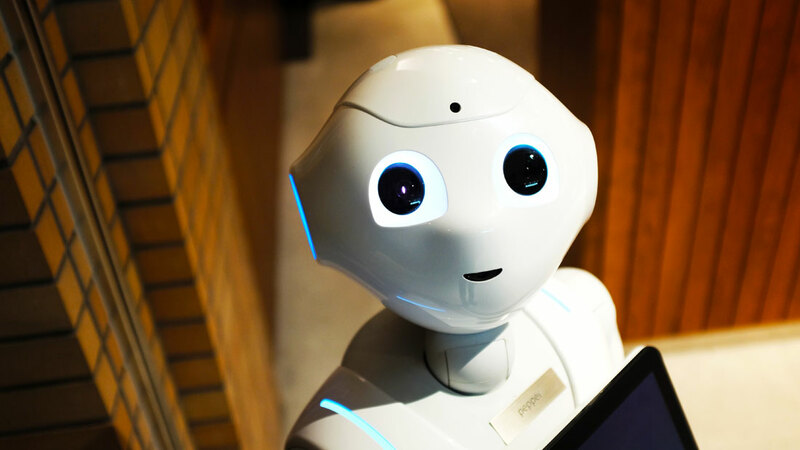 It is recommend asking oneself, if your patrons would be willing to use such a companion or if they would rather appreciate if you would offer a well-functioning chatbot. Automated Commerce is a trend which fits this context. It seems probable that buyers will use more algorithms and smart devices in the future to get rid of some of their time consuming purchases, including the negotiation of prices and delivery conditions. New customer expectations of more comfort, online as well as offline, will arise in other sectors than retail too due to the very existence of these tools. Future customers are not only humans any more, but also algorithms. The effects of the greater influence of algorithms and virtual assistants like Alexa (link in German) will be criticized more and more, because they act as gatekeepers standing between organizations and their patrons. Furthermore, the broader application and research of artificial intelligence leads to increasing fears including the loss of control and hacking (link in German). At the same time, it raises the awareness for possibilities of manipulation and problems resulting of the unthinking use of artificial intelligence (link in German). Services which support learning and general personal improvement (Generalized Progress) are among the trends in 2018. They address the improvement of unspecific skills first and foremost, without focusing on career opportunities or status improvements. In this context examples are: one-on-one mentoring platforms, do it yourself consulting platforms, apps based on human curiosity plus self-help coaches based on artificial intelligence. While the digitisation advances further, the discomfort of patrons grows if the digital is emphasized too much. That is why it becomes more important to create offline experiences. To design physical characteristics is as important as the design of digital characteristics and both should be seen together. Co-Creation, a trend topic that is still relevant, can be seen in this light. Part of this is „Child Co-Creation“, used to make retail shops more attractive for families. Interactive Pop-Up-Stores, meant to activate adult customers (Activating Personalized), also apply co-creation. Augmented packages are also used to intensify customers’ interactions with products or services and to enrich the shopping experience. New user expectations could be a result of this trend as well as of other trends too and might be relevant for the further development of your own services. According to Trendhunter, another trend in 2018 are events organised by brands that encourage STEM beginners to learn about science, mathematics and technology in a playful manner. This STEM Education includes Biolab Equipment Kits for a playful approach to biology as well as inspiring science events. In the face of Open Science and Citizen Science this also seems to be a trend topic worthwhile a closer look in 2018.